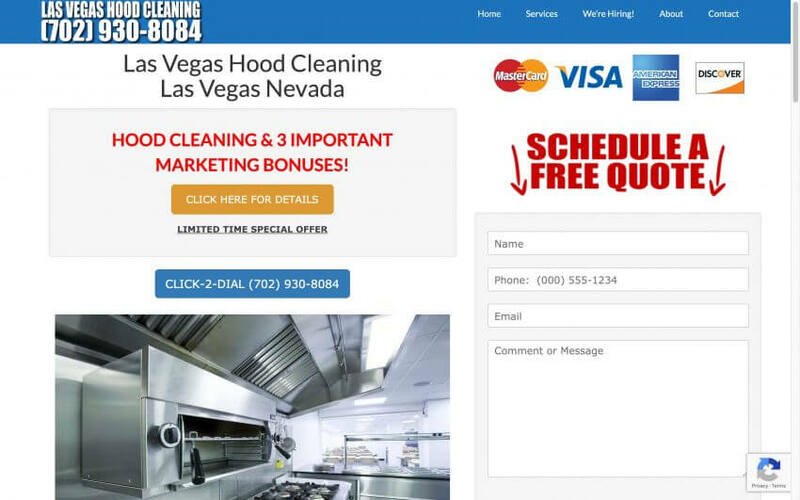 One of our happiest clients is Las Vegas Hood Cleaning. They have given us rave reviews when we ask them to talk to one of our potential clients. When we started working with them they were getting a hand full of leads of their website. Since then, they are getting dozens of calls per month. It really is rewarding to change peoples lives.